The warrant is in connection with the murder investigation of Odin Lloyd, whose body was found near the New England Patriots star’s Massachusetts home. 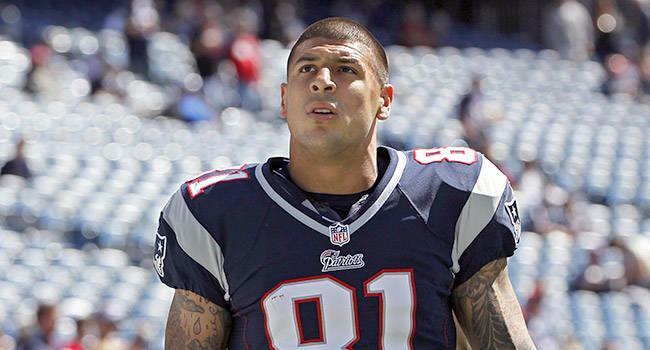 Reports of arrest warrants are dominating the news Friday as the homicide investigation involving New England Patriots tight end Aaron Hernandez continues. FOX 25 TV and WBZ NewsRadio 1030 in Boston reported early Friday that a warrant was issued for obstruction of justice in connection with the homicide of 27-year-old Odin Lloyd, who was found dead in an industrial park less than a mile from Hernandez’s North Attleborough, Mass., home Monday. However, Bostonglobe.com reports an official as saying no arrest warrant has been issued. This entry was posted in American Football and tagged patriots, reblog, violence. Bookmark the permalink.